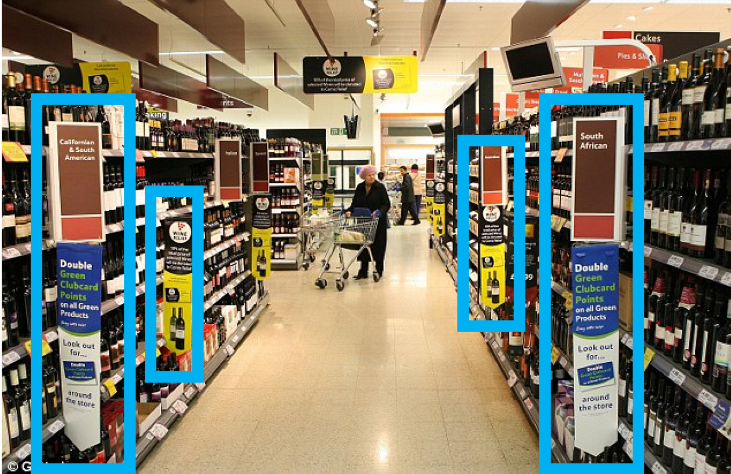 Stopper is a Point of Sales Promotional Material, which can be seen from both sides when people walk through the aisle, with a call to action messages regarding different products. See below one example in blue. 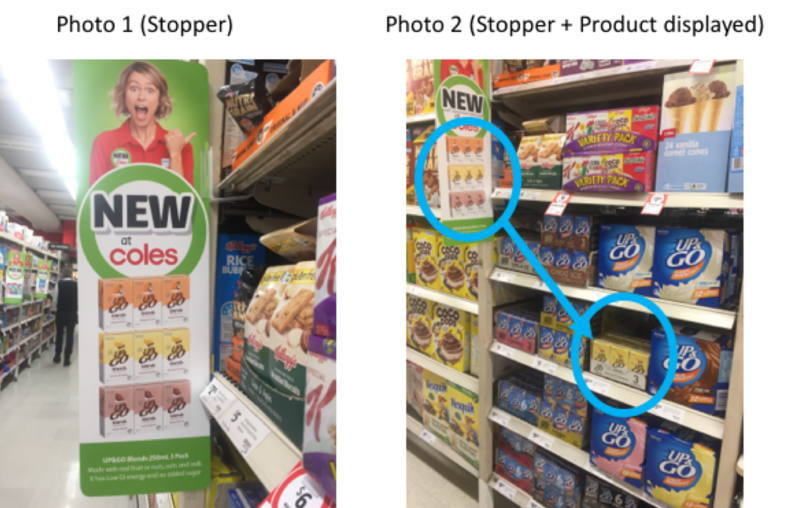 Your mission is to detect Stopper and matching products on the shelf. 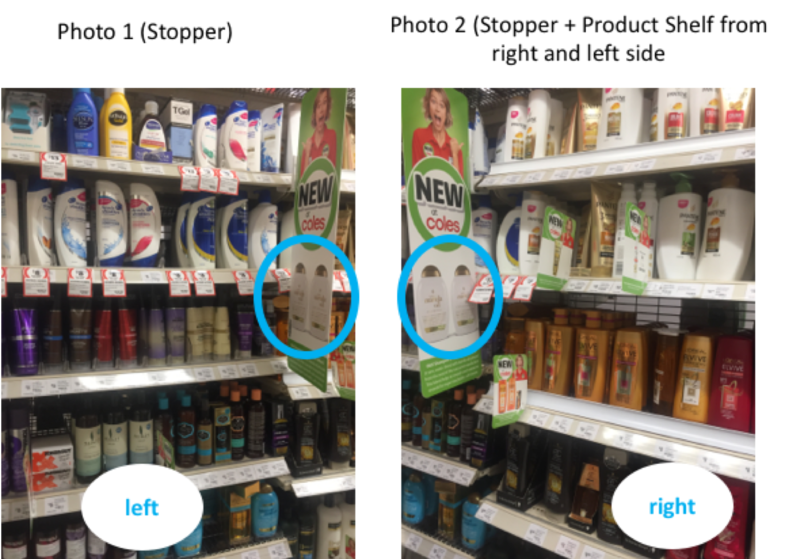 You need to check if the product communicated on the stopper is on the shelf as well. In case you can’t find the matching product, please take a frontal photo from both sides from the stopper. Try to include as much of the full width of the shelf as possible. You are showing where the matching product should be.